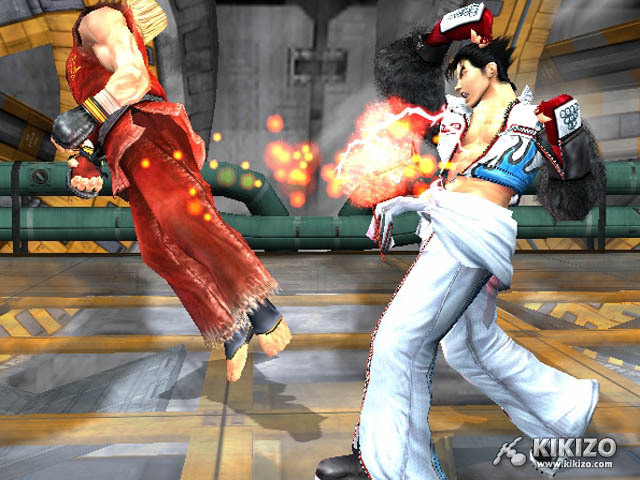 After the relative disappointment of Tekken 4, is Namco's decade-old franchise back on top form? 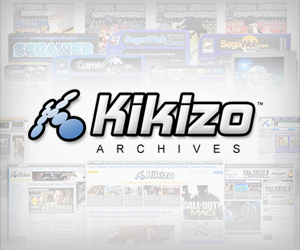 Kikizo's verdict awaits. 20 new direct feed PS2 vids included! 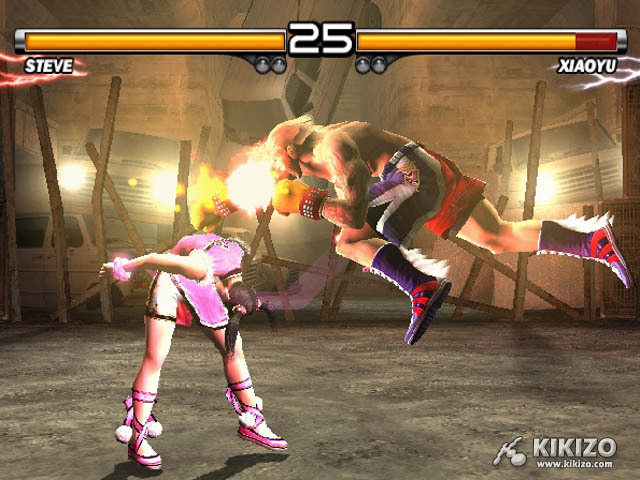 Other modes include a standard Team Battle mode, Survival mode, and an Arcade mode, which is a little more interesting than usual as players are awarded prize money after each fight to be used with the game's cool character customisation feature, and there's also a ranking system. 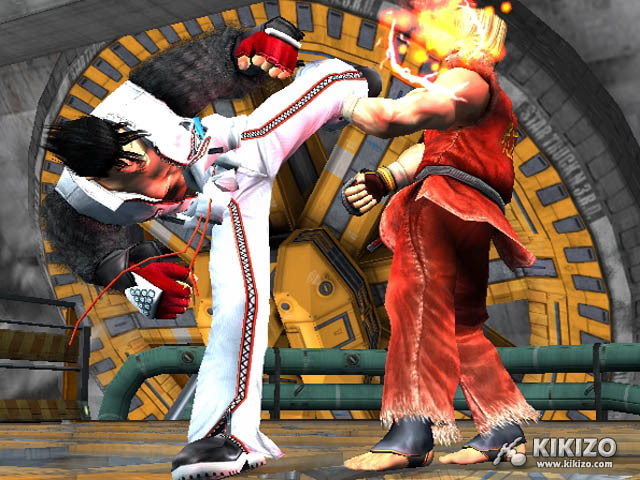 We found Tekken 5's fighting engine to be pretty exemplary stuff; the game allows for a little button mashing at times but thanks to some pretty solid AI that's not always the case and it never becomes as mashing-orientated as Soul Calibur or Dead or Alive games. 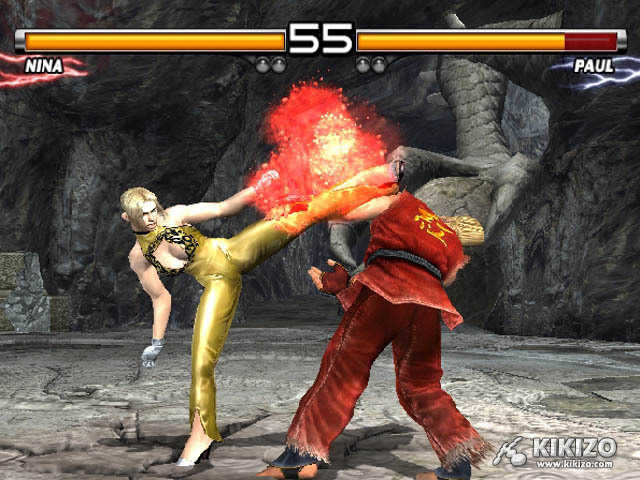 The action in Tekken 5 moves at a seemingly faster pace than its predecessors, which is a big plus, and the game controls beautifully. For the most part, offensive, defensive, and counter attack moves are easy to pull off and double-button moves can be conveniently mapped to a single button for easier access. 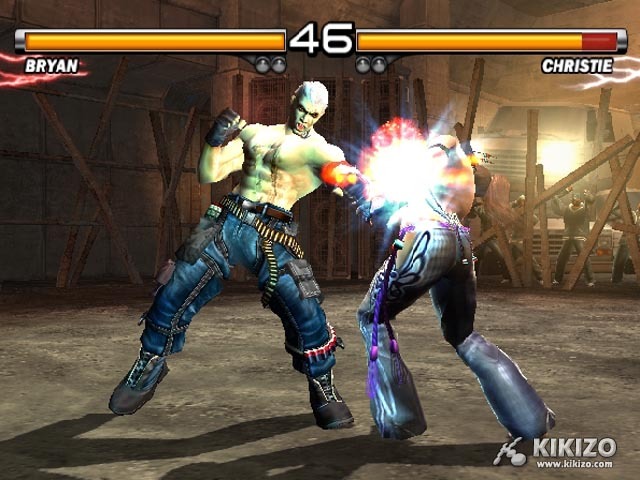 The tweaks in Tekken 5's infamous control scheme make a wider variety of techniques more easily accessible. 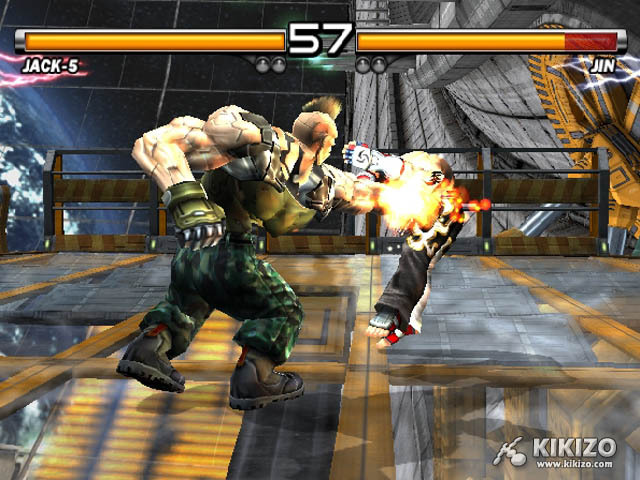 Tekken 5 offers an ample level of depth and players of various skill levels can quickly feel at home with. Beginners can start performing some cool flashy moves in no time, and quickly move onto juggling, without spending time in training - while seasoned players can still show off their skills and hone those endless juggle techniques to perfection, tapping into the deepest reaches of the game to mix different attack strings together and uncover newer, more devastating attack combos. 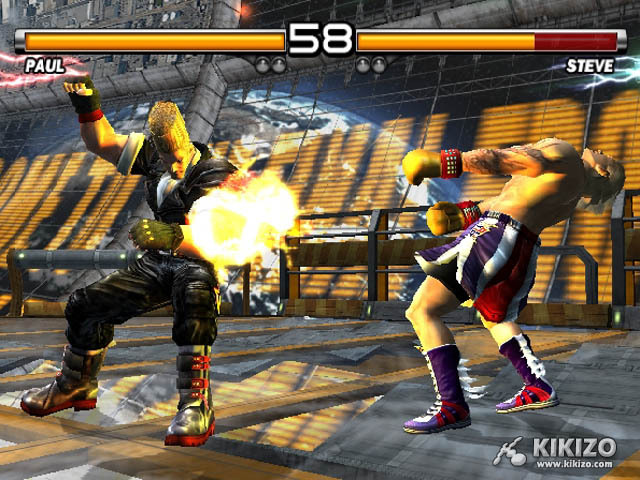 Tekken has always been known for is its diverse cast of characters, and once again a solid mixture of new, old and bizarre characters can be found. 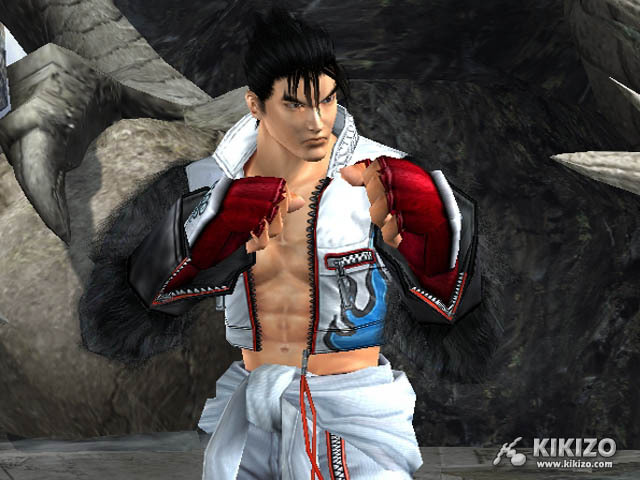 Feng Wei is a fast and fierce fighter who's also a master of Chinese Kenpo, on a quest to recover the secret scrolls Mishima's clan stole. His speed and offensive style can overwhelm opponents. Raven is a character I originally referred to as a more buff, futuristic-looking Dennis Rodman with a Blade complex. Little is known about Raven's character other than he's a secret government agent, originally sent to investigate Mishima Zaibatsu's connections. He enters the Tournament on a fact-finding mission to uncover all the dirt. Highly skilled in the art of Ninjutsu, Raven offers well-balanced strength and speed to batter opponents, with techniques including a cool mid-air face stomp. Oh, and he can teleport too. 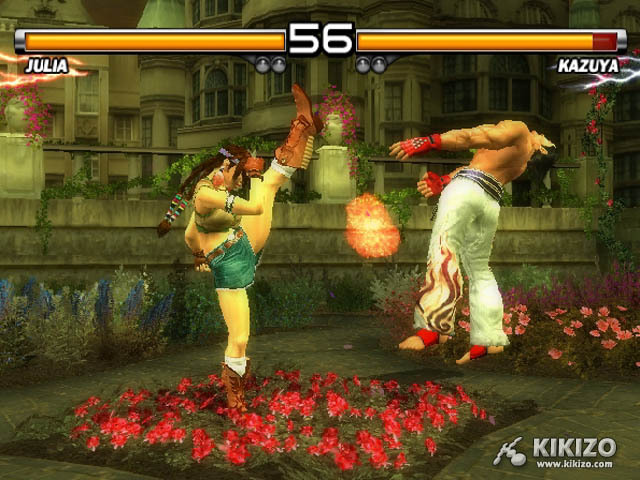 And last but certainly not least is Asuka Kazama, Jin Kazama's cousin and the newest female addition to Tekken. She's cute as a button and deadly to boot with her Kazama style techniques. 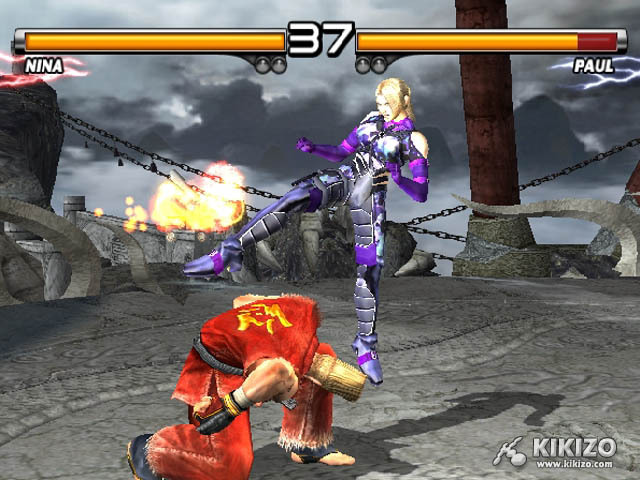 Asuka plays well as a defensive fighter more than anything else; her beautiful counters and takedowns are reminiscent of my beloved Aoi's Aikido fighting style from Virtua Fighter, although Asuka is pretty well-rounded and can string together some beautiful and smooth flowing attack combos. Everyone will have their personal favourites and Asuka happens to be mine, but it still pays to play as all of the characters when going through the story mode - you can unlock many others along the way, not to mention those different CG movie endings. 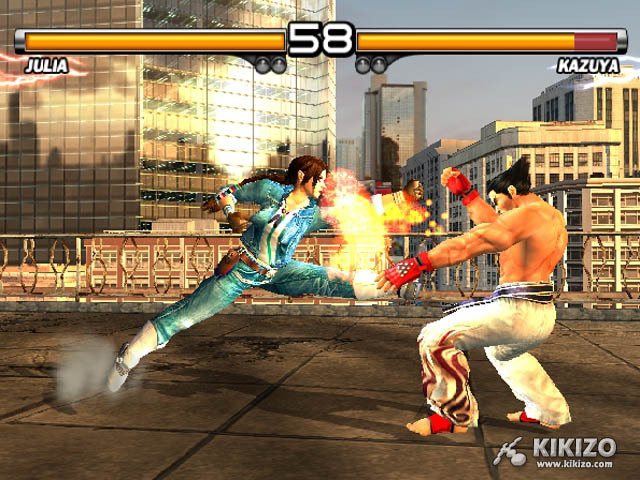 Although there's no online play, Tekken 5 has loads of other features that not only drives up its appeal but also adds a bit more longevity to the overall package. 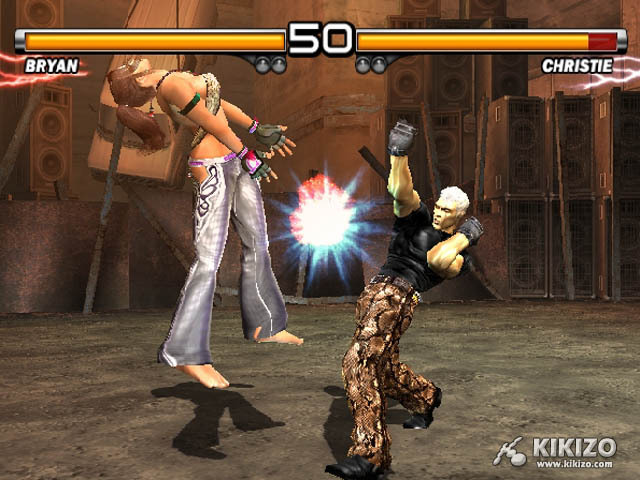 Borrowing a page from Virtua Fighter 4's playbook, Tekken 5 has a cool character customisation feature. 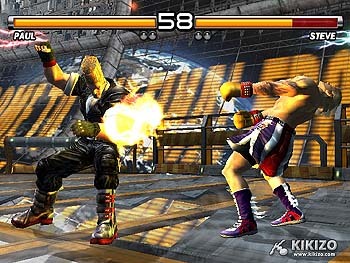 Players can use fight money to purchase various items to augment their fighting wear. Everything from basic colour changes to extra costumes, hairstyles and accessories are up for grabs. Fighters will often wind up with a totally different look than what they initially started out with. The most significant new addition for this home version is the 'Devil Within' mode, which is basically a Tekken side story mission reminiscent of Tekken Force from Tekken 4 and serves as a decent distraction from the main tournament.